This month, the Supreme Court heard their final cases under the Obama administration. The last, Ziglar v. Abbasi, was argued on January 18 and concerns hundreds of Muslim, South Asian, and Arab men who were rounded up, detained for months, and deported in the wake of 9/11 based on their race, religion, ethnicity, and immigration status. 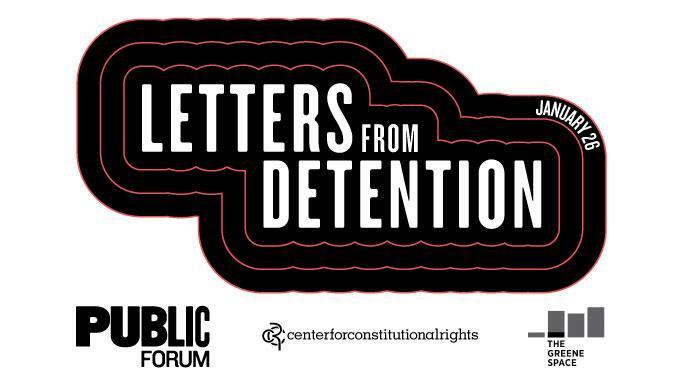 While we await the SCOTUS ruling, the Center for Constitutional Rights, and The Jerome L. Greene Performance Space at WNYC, in association with The Public Theater’s Public Forum, present an evening of constitutional questions and considerations. First, Jessica Blank and Erik Jensen (authors of The Exonerated and Aftermath) will present a moving and hopeful theatrical performance, adapted from a series of letters exchanged between two brothers held on separate floors of the Metropolitan Detention Center in Brooklyn for months after 9/11. Then, we’ll convene a conversation with Monami Maulik (founder of DRUM and currently working with UN Women); attorney Rachel Meeropol (Senior Staff Attorney for CCR and counsel for the plaintiffs in Ziglar v. Abbasi); and Elie Mystal (Radiolab Presents: More Perfect and Managing Editor of Above the Law’s “Redline”). They’ll discuss how we hold our government, and each other, accountable for the safety and well-being of all and what role the courts can, should, and will play in reining in executive excess.